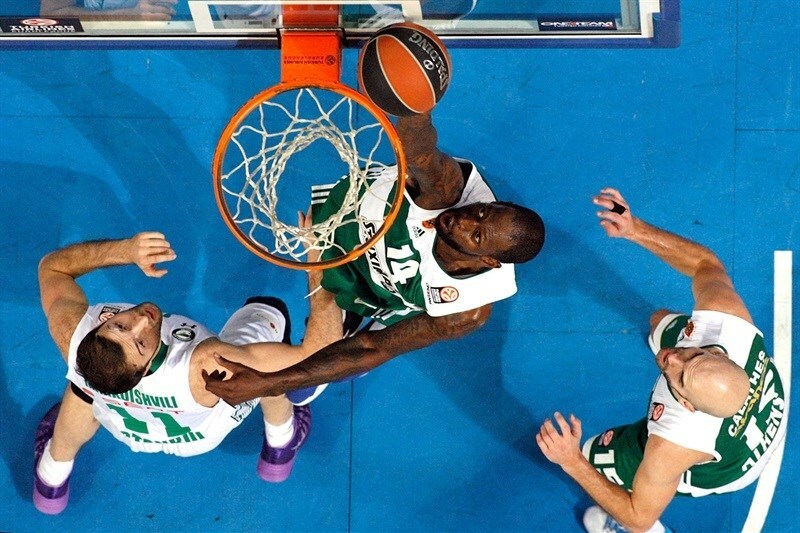 Panathinaikos Athens pulled out a hard-fought 82-79 win over visiting Darussafaka Dogus Istanbul on Friday night in the Greek capital. 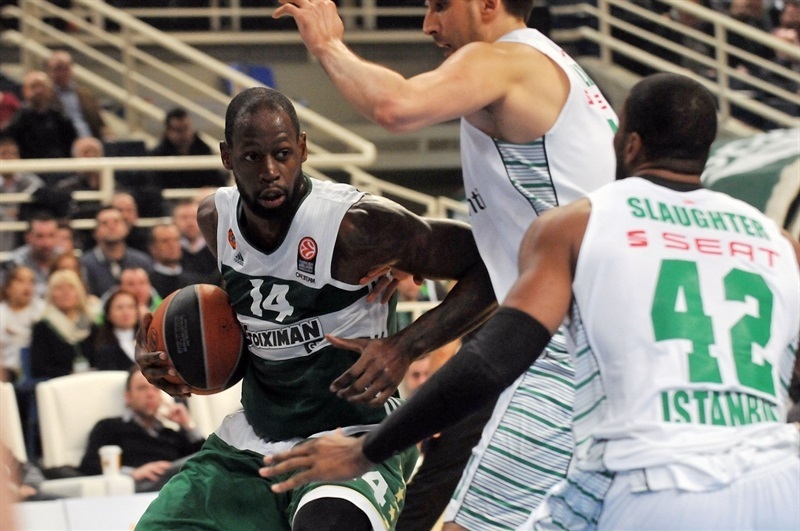 Panathinaikos improved to 2-3 in Group E, while Darussafaka is still winless in its first Top 16 appearance. It was a game in which neither team managed to build a double-digit lead during the entire 40 minutes. 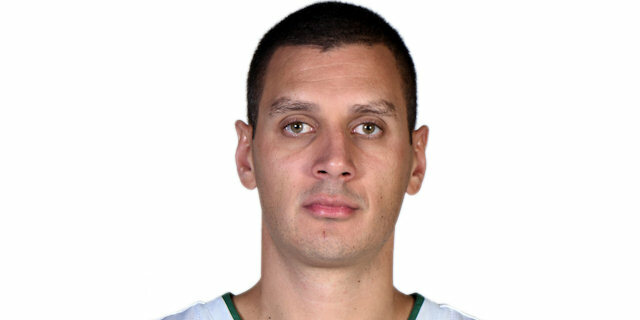 Playing without Dimitris Diamantidis, Panathinaikos held a 42-38 halftime lead and went up by 9 early in the third quarter. But Darussafaka rallied behind Jamon Gordon and took the lead twice in the fourth, including 72-74 with two minutes to go after a Gordon triple. 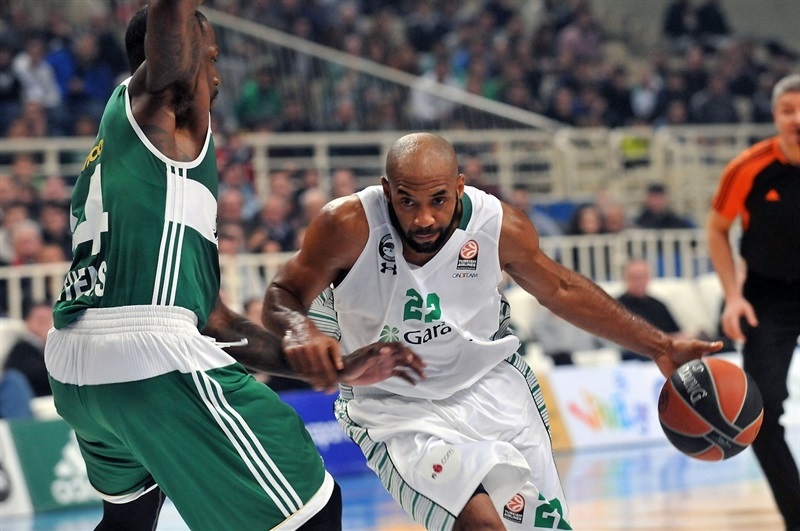 But down the stretch, Panathinaikos made more plays, and more free throws, to pull out an important win. Miroslav Raduljica scored 17 points, had 8 rebounds and 3 steals, while Nick Calathes had 14 points and 9 assists to pace the hosts. 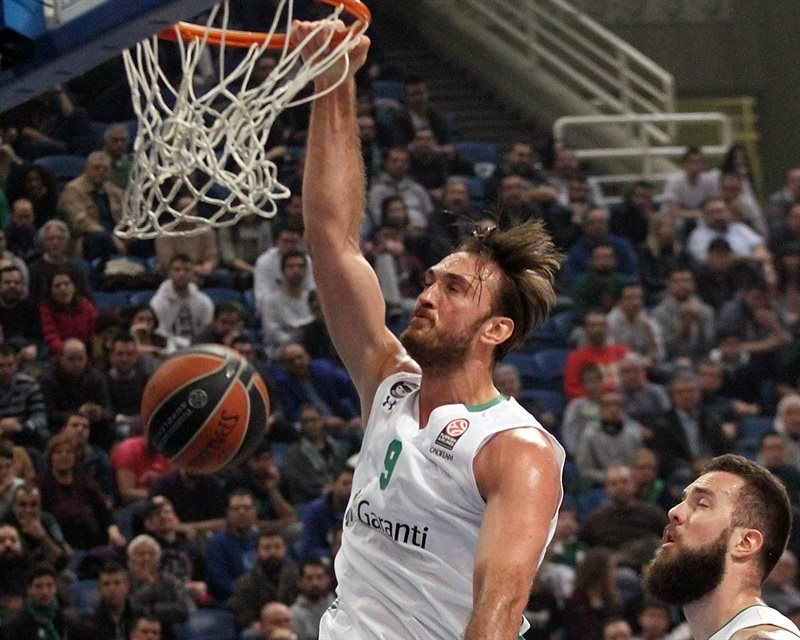 Vladimir Jankovic bagged 12 points for the Greens. Jamon Gordon finished with a career-high 26 points along with 5 rebounds, 3 assists and 2 steals for Darussafaka and Luke Harangody had 18 points, while Semih Erden scored 11 in defeat. Ognjen Kuzmic opened the game with a big one-handed dunk, but a triple from Harangody before Gordon went coast-to-coast for a layup put the visitors up 2-6. Jankovic scored inside, but Gordon and Harangody each hit a triple, although two minutes apart, making it 5-12. Sasha Pavlovic scored a driving layup, and after Erden scored inside for Darussafaka, Antonis Fotsis hit a triple to make it 10-14. Manu Markoishvili made a short jumper, only to see Raduljica made a put-back for the hosts. 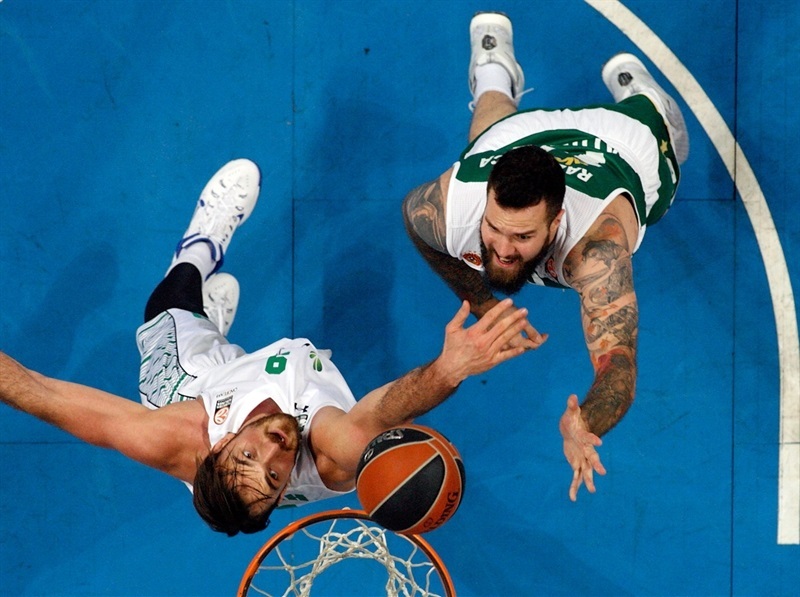 Erden had a big dunk, while Raduljica countered with a soft baseline touch. 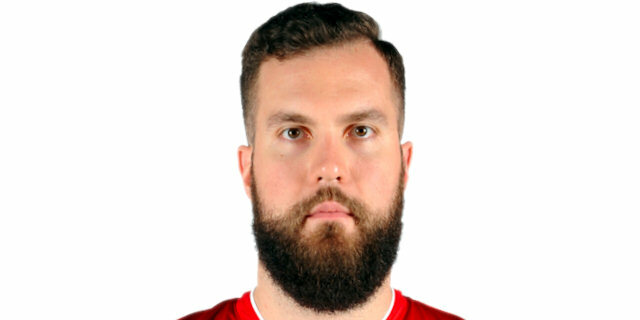 Emir Preldzic nailed a tough triple for the visitors to open another 7-point lead, but Raduljica had another put-back, stringing together 6 points and ending the first quarter at 16-21. Gist scored inside and Pavlovic drove for a layup-plus-foul that tied it at 21-21. Nikos Pappas made a nice move to bank in a shot and put Panathinaikos in front, but Milko Bjelica scored inside and Reggie Redding on a fast break. Bjelica’s corner jumper made it 23-27. Calathes hit a runner, but Bjelica scored on a fast break, helping the visitors lead 25-30. But Calathes and Pavlovic connected on an alley-oop dunk, before Fotsis put-back a free throw miss, and Gist had a thunderous put-back dunk to make it 32-30. Gordon tied it with a driving layup, but Raduljica also put back a free throw miss for a three-point play, before Fotsis nailed a corner triple. 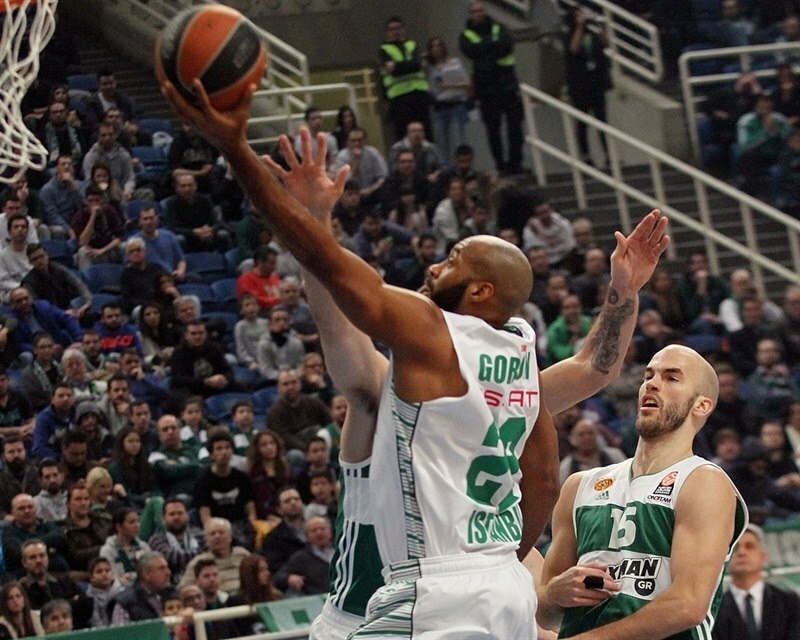 A triple from Calathes opened a 42-34 lead, but layups from Gordon and Harangody cut it to 42-38 at halftime. James Feldeine knocked down a triple, and Jankovic scored inside on a breakaway to open a 47-38 lead. Harangody used a soft touch from short range to score first Darussafaka’s points of the second half, then added a three-pointer to make it 47-43. Feldeine and Redding traded triples, before Jankovic nailed a three of his own, 53-46. Gordon answered right away from downtown, but Raduljica scored twice, including a put-back dunk to make it 57-51. However, Harangody nailed a triple, and after Gist scored on a fast break, Erden countered with an easy layup to bring his team within 3. Harangody’s free throws got the visitors even closer, but Calathes made free throws, too, and also hit a mid-range shot to make it 63-58. Pappas made free throws for the hosts, but Gordon and Markoishvili both connected from long range to cut it to 65:64. 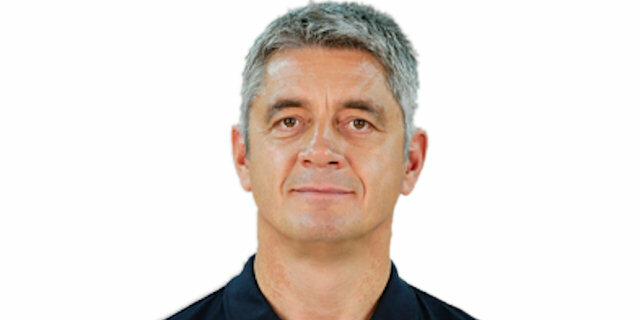 Gordon’s reverse layup put Darussafaka in front, before Calathes hit a triple and then threw an alley-oop pass to Gist for a 70-66 advantage. But the visitors held Panathinaikos without a field goal for the next five minutes, a span during which Scottie Wilbekin and Gordon each hit a triple to put Darussafaka in front 72-74 with two minutes to go. Jankovic ended the hosts’ drought and tied it from close range. 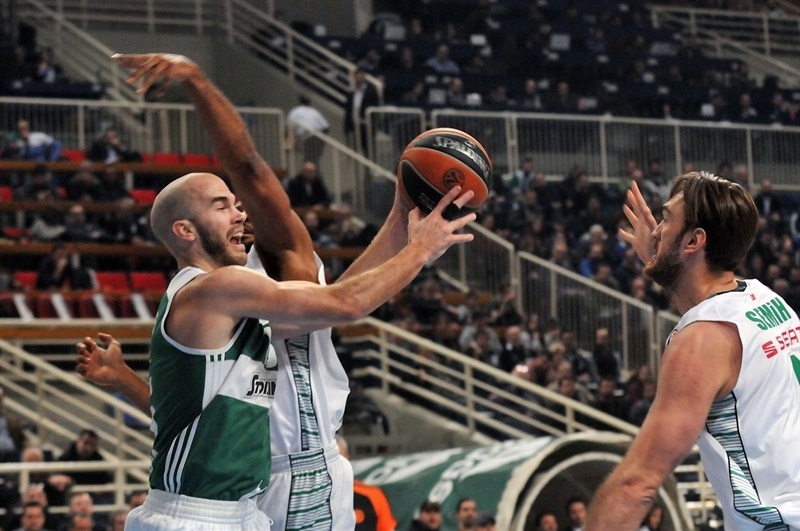 Erden missed both free throws, before Calathes split his to put Panathinaikos back in front by 1 with 73 seconds to go. Gordon threw in a wild three-pointer, before Raduljica’s spin move inside made it 77-74 with 29 seconds to go. 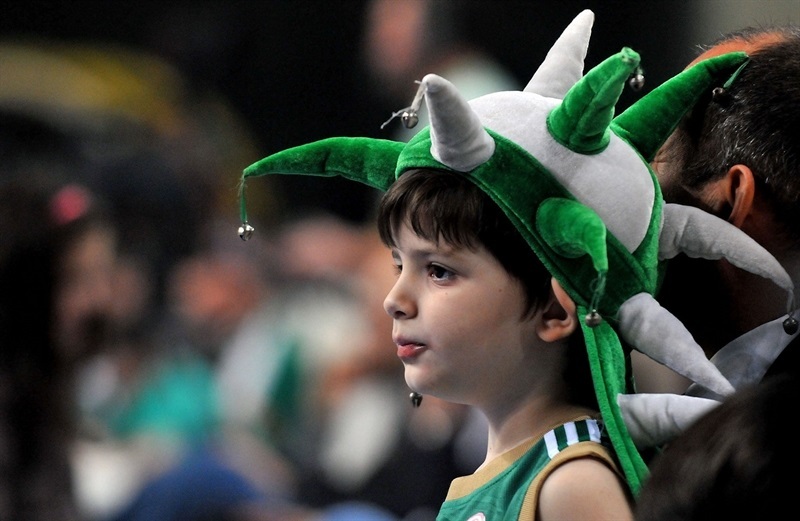 Gordon banked one in on the ensuing possession, but Feldeine and Jankovic combined for 5 of 6 from the foul line to keep Panathinaikos with an 82-79 lead. 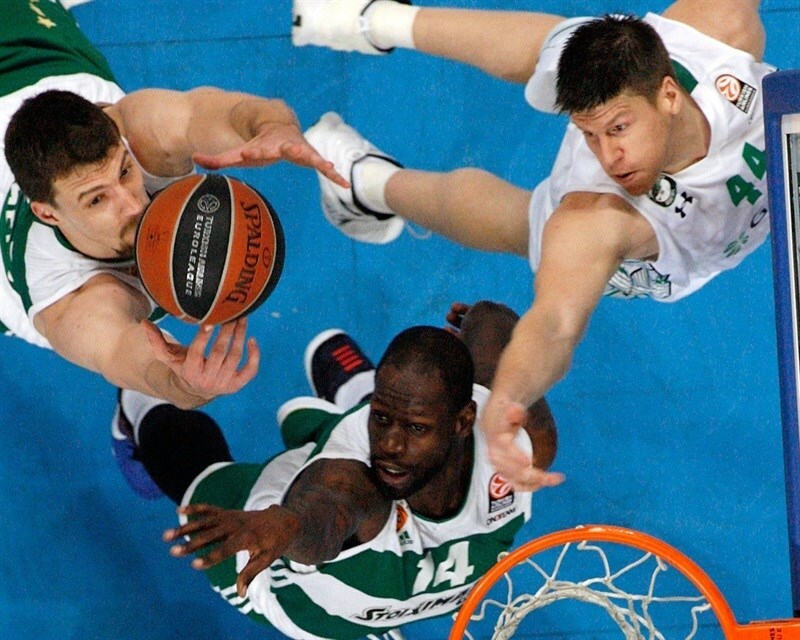 Darussafaka had 4.4 seconds for the final possession, but did not manage to get off a shot. "First of all, it's a great win because of how we are, the situation physically that we are in. It was the toughest game for our guards. Darussafaka has a great offensive perimeter line, great ball handlers, and it was a really good defensive effort. It's a huge win for us, one of the biggest this season, for sure... It was a difficult game against an opponent that has a lot of good perimeter players and the talent to defend against the double teams. 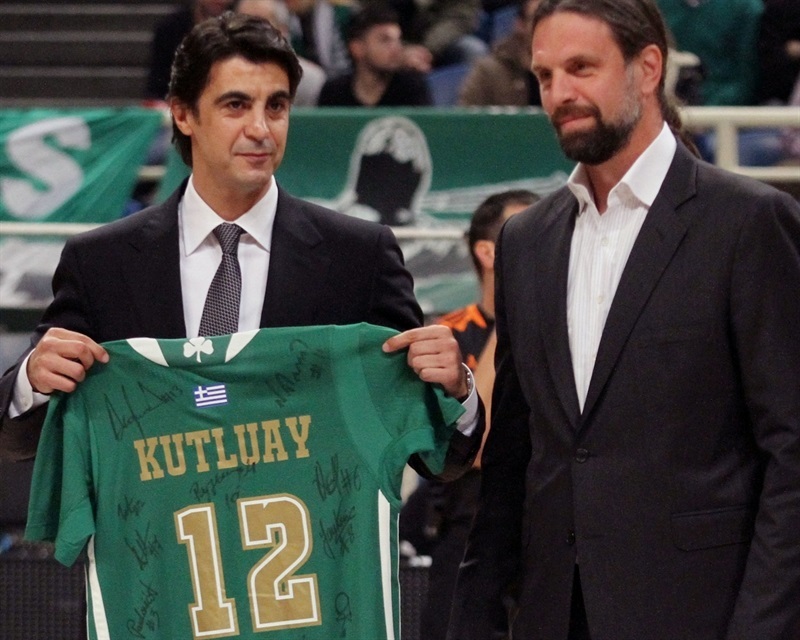 Since Dimitris Diamantidis was not available, some players have to come out and they did it the right way. Nick Calathes played with great concentration and I have to say that I am very proud to coach this team. I like the way we reacted after the three last losses. We proved that we are together as a team. I like that we are fighting all together. All the players feel the honor to be here and are good teammates. Sasha Pavlovic and Vladimir Jankovic played good defense tonight, and I think that we should have won in an easier way, but we committed many mistakes and we allowed them to score on the fastbreak. It is always hard to move the psychology of the players after consecutive bad results, but it worked. It is not possible to have the same energy for 40 minutes, but the team gives its best to stay competitive. MarQuez Haynes who will join us is the player we need to get better. He has talent, athleticism and the hunger to show his quality. He needs a good environment to prove how good he is and play his game. 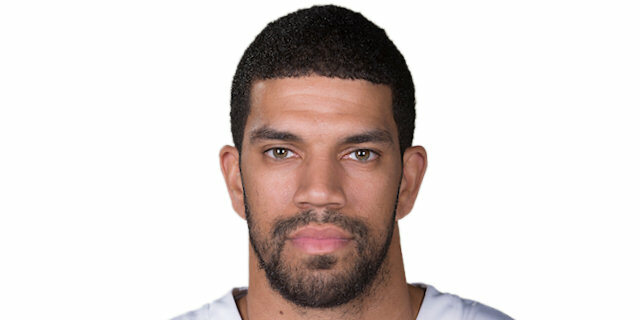 He can either create or score and has the ability to play one on one and push the team on offense." 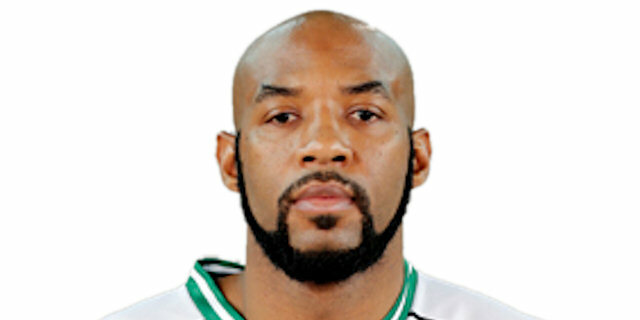 "Congratulations to Panathinaikos for their win. It has been a tough game for both teams, which was decided by the details. In the last minutes we has some bad decisions and missed free throws. We have lost a couple of games like that and this is really frustrating. You don't accept losing because of unexpected turnovers, but this is the game, this is basketball. We came here to win and we will keep fighting in every game to do so." "Everybody here talks about the pressure, but I think that we shouldn't have it. Come on, we have the best job in the world, so there is no need to feel like that. I think that we have to feel comfort and have fun while playing at this level, not to be so stressed. However, we managed to win tonight and I hope that things can be better." "I consider this a big comeback after all that happened in the last weeks, when we lost three games. We bounced back, thanks to the energy and the good defensive reactions in the crucial moments, but we still need to improve our game and keep playing with consistency. We won tonight but it is not enough. Next week we go to Zagreb to play against Cedevita which is a good, experienced and very dangerous team. " "Very tough game for us, against a very good opponent. I think our approach from the start of the game won this game. We showed this is the way how we should play every game, with a great effort from all of the guys. Grabbing guys on defense, playing tough defense, and with offense very calm and focused. This is the reason we won... We were coming from a few bad games and defeats, but this is basketball. The season is long and we have to manage these situations, either the good or the bad ones. We are playing to win in each game, but is is not easy to make it happen every night. Tonight, we beat a tough team and we feel better now. It has been a must-win situation and fortunately we came with energy in the crucial moments, good enough to get back on track." "It has been a good and tough game by both sides, which I think we should have won, but it didn't happen. Now we are 0-5 but we must keep fighting and trying for the best possible result in every game. This is the Euroleague and this is the Top 16. Sometimes you can win although you play bad and some other times you can lose after playing good."